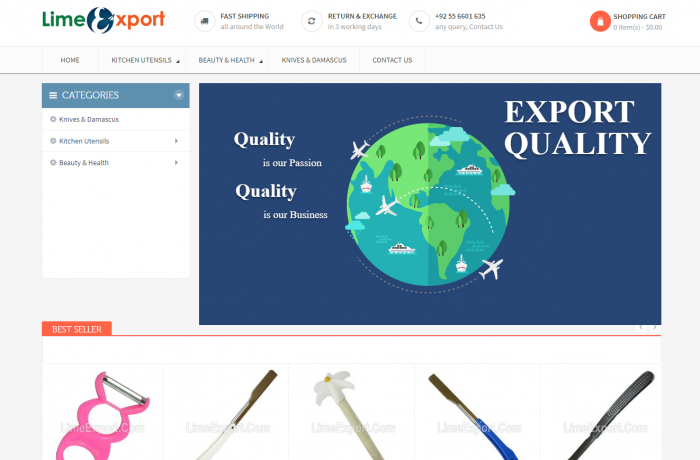 Lime Export is an online store for industrial products. Lime Export object is to increase the export from Pakistan to international. Here you can buy products at industry rate and you can also ask for make on demand. They have quality products. Lime export have a team to check the quality of the export product so buyer no need to worry about the quality of the product. Lime Export take care of this.